Commemorating your loved ones is a timeless art. 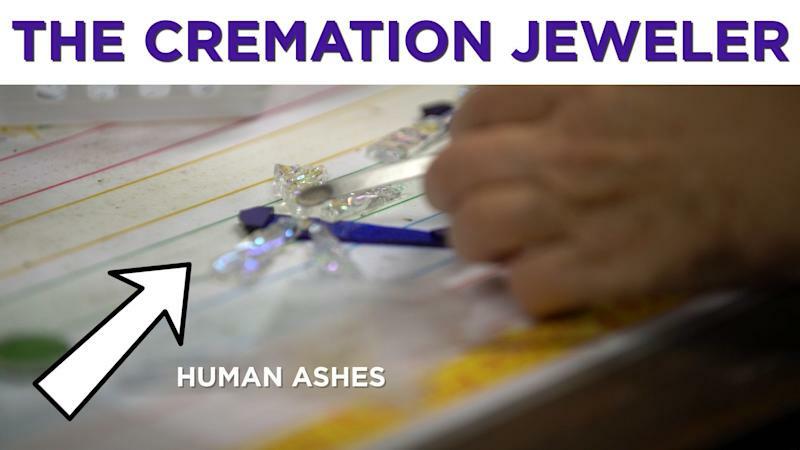 This woman makes jewelry from cremation ashes. An average casket costs slightly more than $2,000, according to the Federal Trade Commission, while some mahogany, bronze or copper caskets sell for as much as $10,000. And according to the Cremation Research Council, the average cost of a direct cremation is $1,100. A cremation keepsake from Purple Cloud Studio usually costs about $100 to $500 and can be customized by shape, size, and color. Michele has her own cremation keepsake necklace made with her father’s ashes that is in the shape of a heart. She says it provides a lot of comfort for her to have her dad close.